Some photo concepts behave very strange under different lenses and filters. HDR uses high-definition and can really pull out effects from light sources. 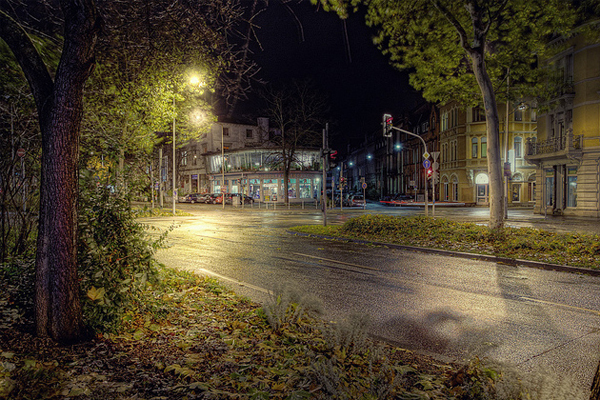 Photographers have learned that using HDR at nighttime can render even more interesting results. I’ve put together a wonderful showcase of photographs using HDR camera effects. These are all taken during the evening when the sky is dark or even pitch-black. Most of the light effects stream in through houses and street lights. It creates an intense atmosphere and a very striking photographic posture.